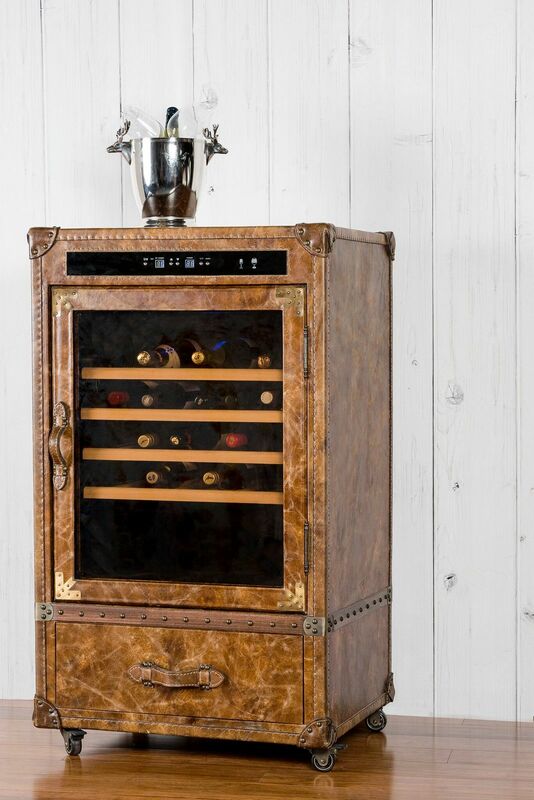 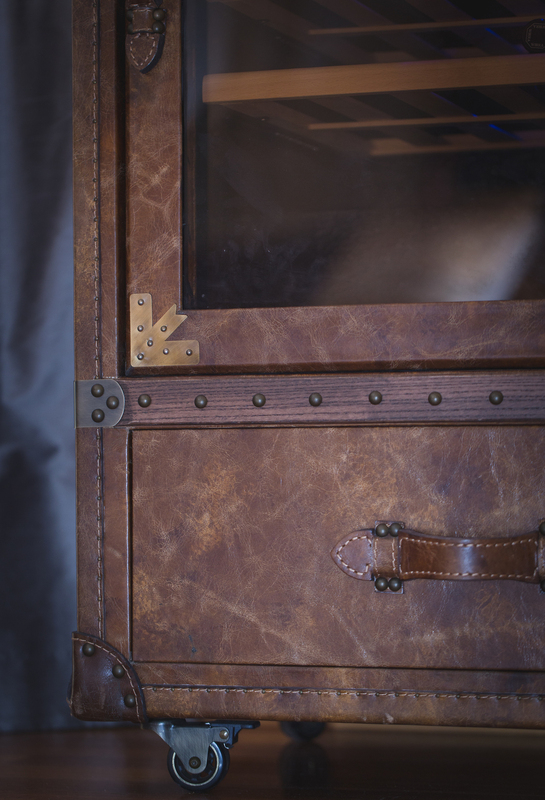 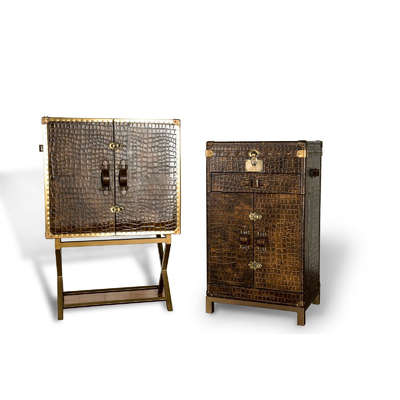 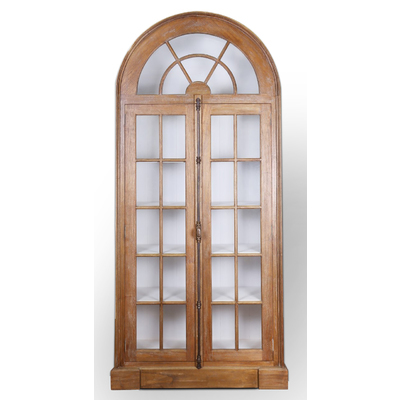 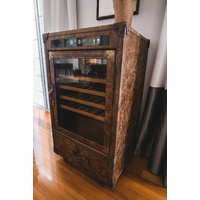 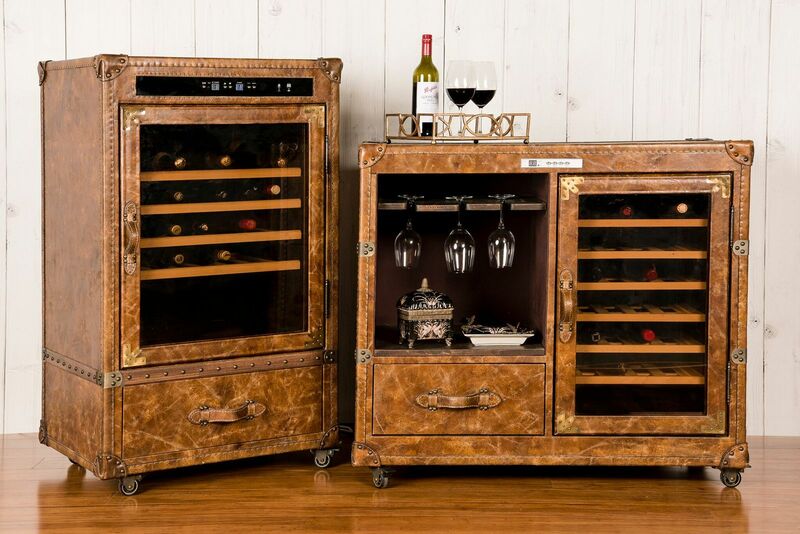 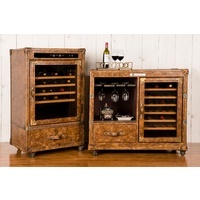 This stunning quality wine storage unit covered in hand rubbed antique leather. 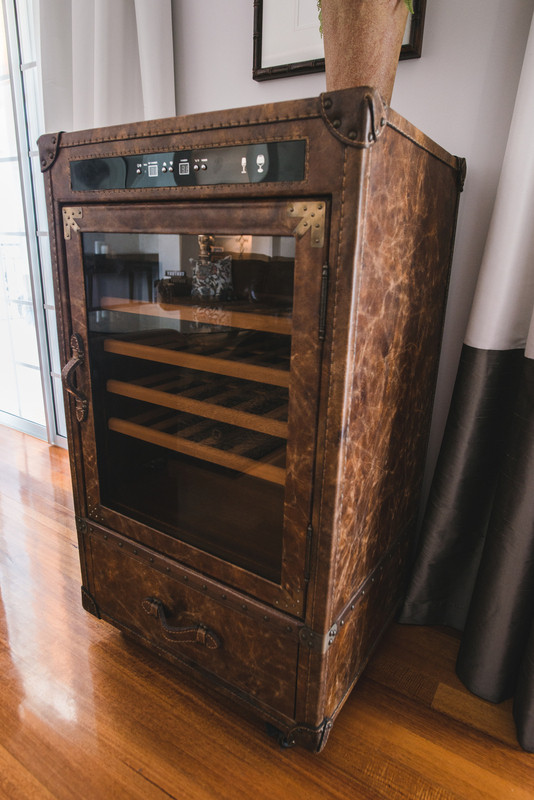 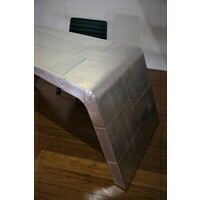 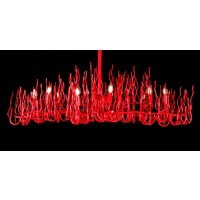 It is perfect for the serious wine collector. 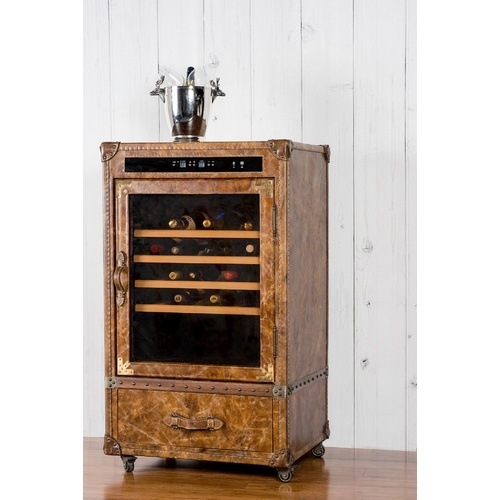 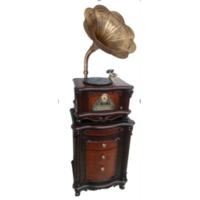 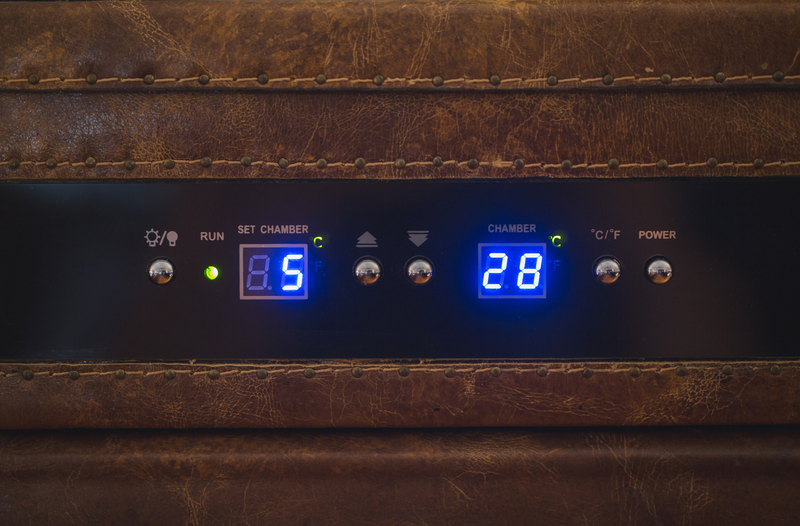 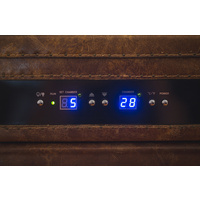 Storage for 24 bottles with adjustable climate control, storage draw and lockable wheels for easy moving, its is a beautiful piece of furniture on its own.